With this news, I think this puts Milwaukee back into serious talks of being clear contenders to defend its NL Central title. And, more importantly, gives the Brewer's organization a brighter view heading into the 2012 season. Braun can now be looked at again as a clean player. Voting should not be altered for future awards. According to the reports, Braun's sample was left unattended for two days, thus breaching chain of custody. Furthermore, this "technicality" has the potential to linger over Ryan Braun for a considerable amount of time. Also, MLB released a statement saying they are not happy that Braun won. Braun won on a 2-1 vote to win the appeal. We will know more tomorrow when Braun has a press conference in Phoenix at the spring training facility. 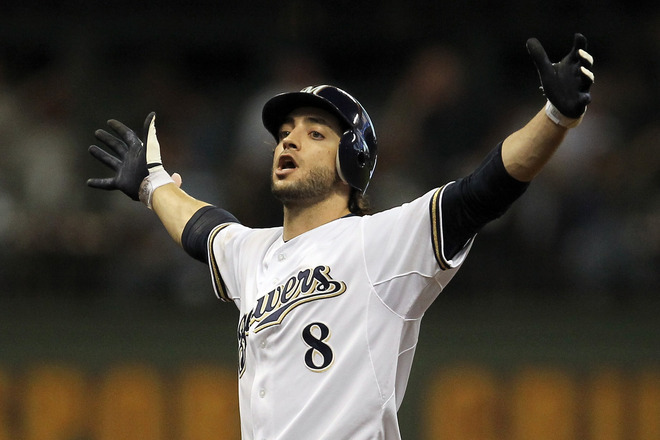 It's been 73 days since we found out Ryan Braun failed his test. These 73 days were stressful, full of wonder, full of doubt, skepticism, and hope. I think all of Milwaukee could agree that they are happy its over. It's time for baseball.